The Texas State Fair is a magical place. Only there can you find anything you could possibly imagine deep fried. I typically stay away from fried food but when that wonderful time of year rolls around I go into complete food junkie mode. All season long for American Idol I’m cooking up themed recipes for Yahoo! Music Lyndsey Parker and her Reality Rocks Blog! This week the contestants are still in Vegas so I took some inspiration from my favorite Sin City chef, Bobby Flay. I bought way too many avocados this week and didn’t want any of them to go to waste so when I was thinking of appetizer ideas I decided to take a que from my favorite state fair snack, Fried Guacamole. 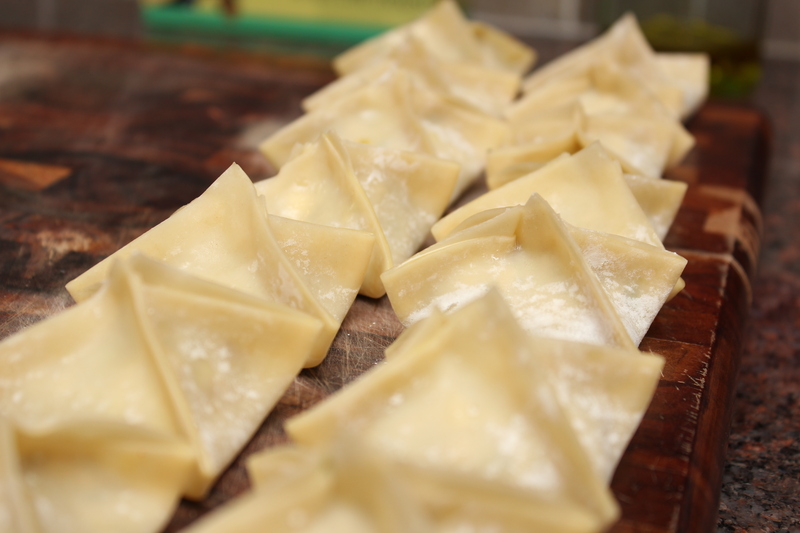 I love how the texture of the wonton wrappers kept the dumplings light, crispy and full of flavor! 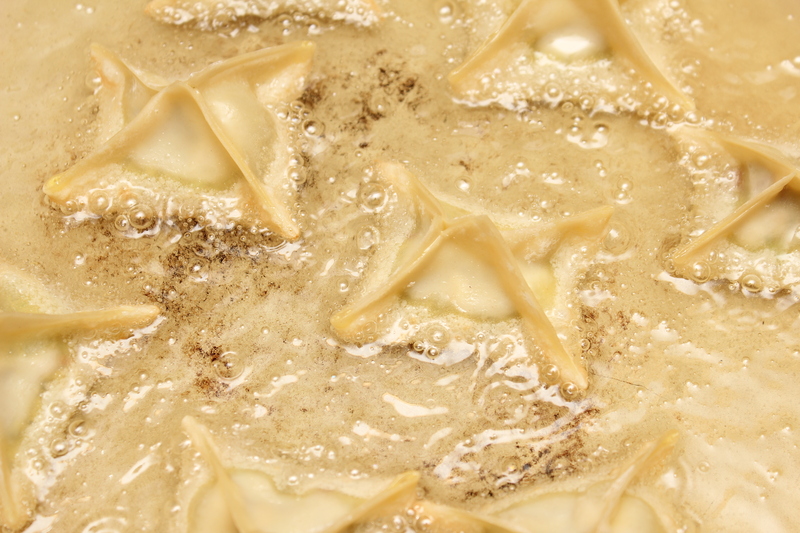 You have to give these a try, you won’t be able to eat just one! 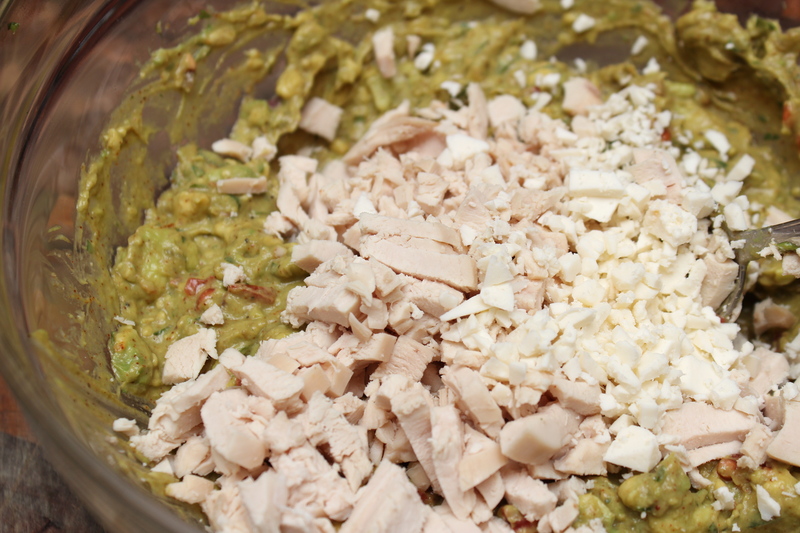 In a large bowl mix together the avocados and next 8 ingredients, through the pepper, until smooth. Taste and adjust seasoning accordingly. 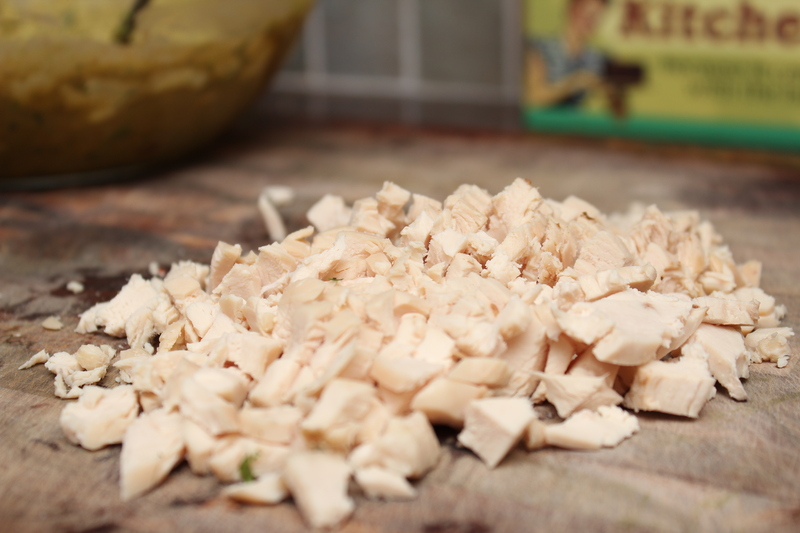 Add the diced rotisserie chicken. 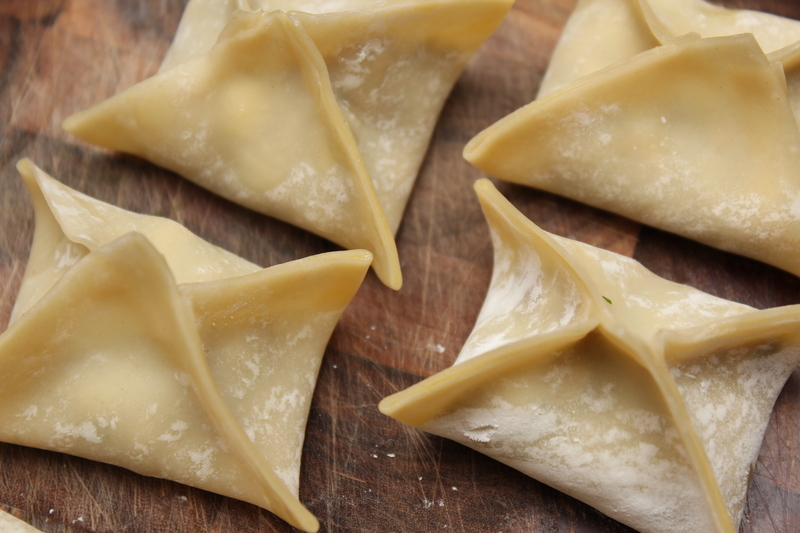 Take a wonton wrapper and brush the edges with the egg wash. Place a tablespoon of the guacamole in the center of the wonton. 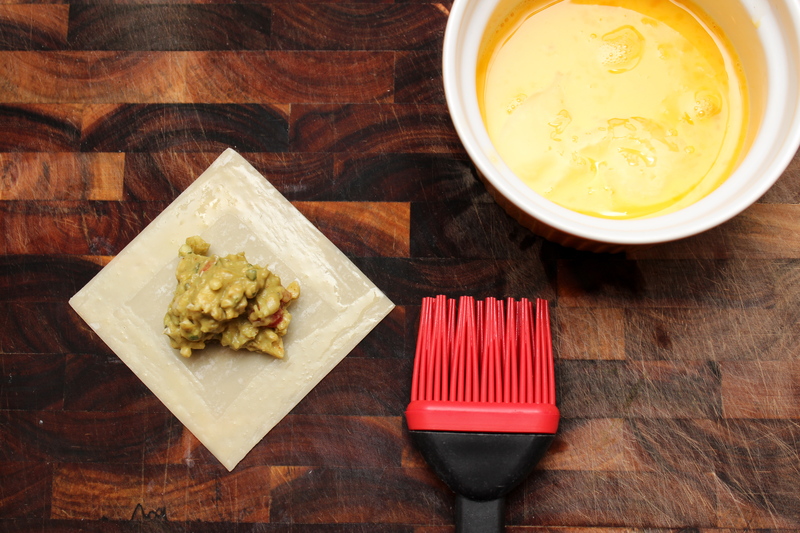 Starting from the middle pull the edges of the wonton wrapper over the guacamole and pinch to seal. Heat the oil in a large dutch oven over high heat. Fry the dumblings until golden brown. Remove and place on a paper towel to soak up the excess oil. 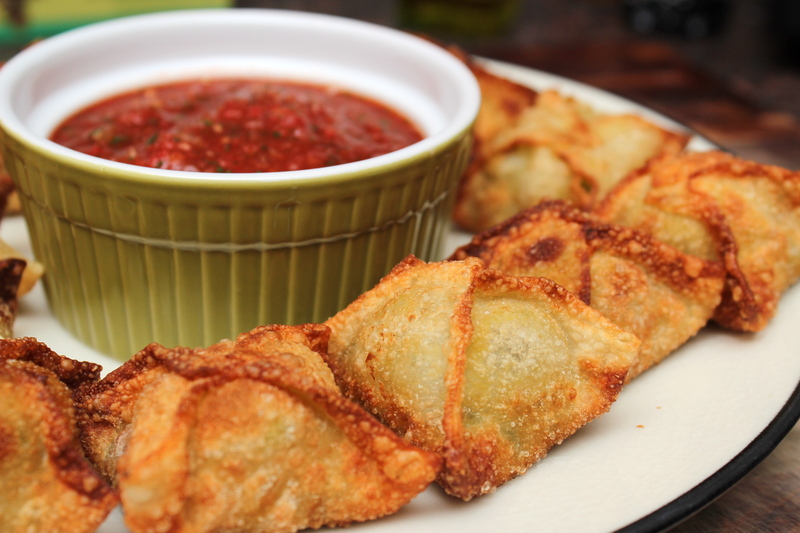 Serve with your favorite salsa. 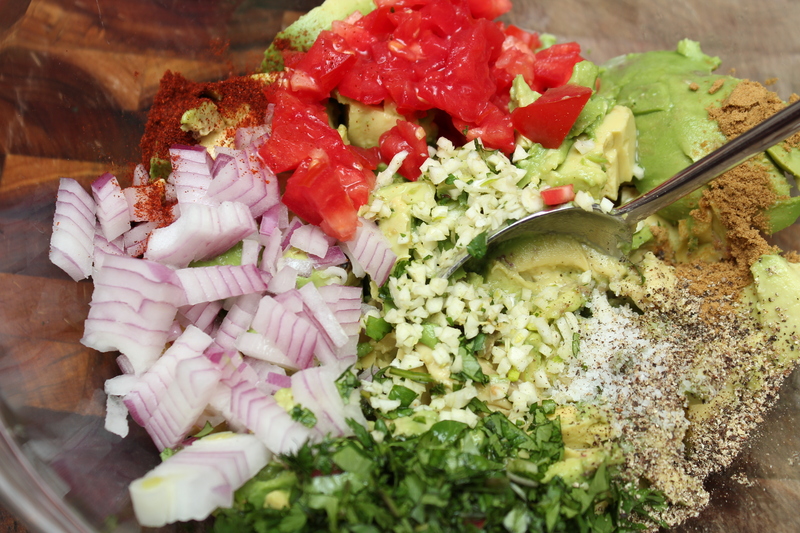 Check out my Fire Roasted Salsa recipe!